Choosing a path for your career is one of the most important decisions you will make. 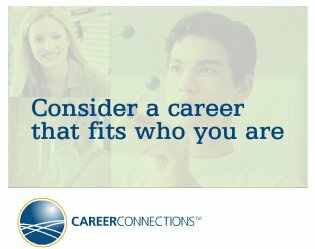 A career in insurance offers an industry filled with stability, variety, and possibility. As your career progresses, every day will present new opportunities, challenges, and the flexibility to advance your career and pursue new goals. The insurance industry offers you the chance to use your education, skills, and interests in your career. Whether you’re a people person, a math wiz, a strategic thinker, or a natural born planner, Canada’s insurance industry has a rewarding career with your name on it. Because insurance is already a part of everything you do! Insurance is an industry that is embedded into almost every aspect of our society. As such, it can offer you a wide range of options and settings to embark on a career that fits with who you are! No matter what your background or experience, there is a place for you in insurance! Because of the wide array of roles, products, and services available in the industry, we are in need of people from equally diverse backgrounds and experience profiles. It’s not what you think… it’s a whole lot more! You may be surprised to learn that insurance is at the forefront of emerging trends and game changing issues in the world around us and in business. Whether it is drones, legalization of cannabis, autonomous vehicles, cyber security, or the likes of Uber or Air BnB… insurance is continually needing to evolve its products and services to meet the ever-changing needs of our customers! In short, it’s relevant and far from boring! Insurance will offer you a career path that gives you the tools to succeed, changes and grows with you, and enables you to be a part of a professional community. You're analytical, good with computers and you love math. Actuaries apply mathematics, statistical methods and risk theory to calculate insurance premiums. They assess the insurance company's ability to pay its claims by tracking payment statistics. You're a people person and a great communicator. Insurance brokers are independent business people. They bring customers and insurance companies into a contractual relationship. You're a promoter, presenter and partner. Marketing representatives work for an insurance company, promoting the company's products and services through the sales force (i.e. the brokers) to insurance consumers. Marketing managers and executives need to look ahead to anticipate and identify the kind of new products required in a changing personal and commercial insurance environment. You're a relationship developer and decision-maker. Underwriters accept or reject risks on behalf of the insurance company. Brokers and agents submit applications for insurance on behalf of individuals or businesses and an underwriter reviews the applications and decides whether to offer insurance to the applicants (that is, whether to accept or reject the risk). Find your place in Insurance today!